Malaysia’s most prolific musicians, members of the Daud Hamid Quartet have a wealth of experience behind them. Amazing all-rounders who can play anything from jazz standards, pop and funk to popular Malaysian and Chinese songs, Daud Hamid Quartet have performed at dozens of private events, dinner-dances and state functions throughout Malaysia. 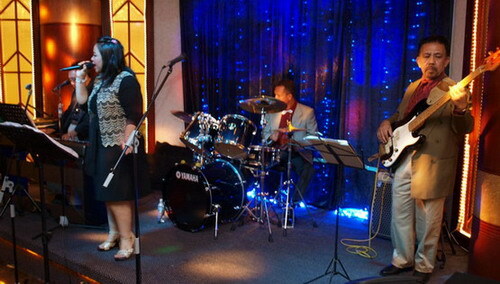 The band have performed for established Jazz Venues, Hotel Lounges, Dinner Dances, Annual Awards Ceremonies, State Functions and Wedding and Corporate Events in Malaysia. Sample songs: You Are The Sunshine Of My Life, Unforgettable, I Left My Heart In San Francisco, Just The Way You Are, Route 66, Beyond The Sea, Caravan, Mas Que Nada, What A Wonderful World, This Masquerade, Sunny. Looking for a band to perform at our wedding on evening of January 18th. Are you available on that date and would it be possible to meet you to discuss or listen to you perform this weekend? Looking for a band to perform at our wedding on January 18th, 2015. Are you available and would it be possible to meet with you this weekend or listen to you perform? hi i am looking for a band that plays the violin, celo , piano and light singing for the 15th of october from 8 pm til 10 pm please let me know if you are available or know of anyone you could direct me to. Could you let me know your availability and quotation please? Company Info: Music for KL (Est. 2002) Represents a Collective of KL’s Most Requested Professional Musicians, Bands & Entertainers for Hire in KL & the rest of Malaysia.